Original boot-last with a stable wide heel provides you with additional benefits during prolonged wearing. The soft bootleg material allows wearing wellingtons with a skirt, leggings or thin jeans. 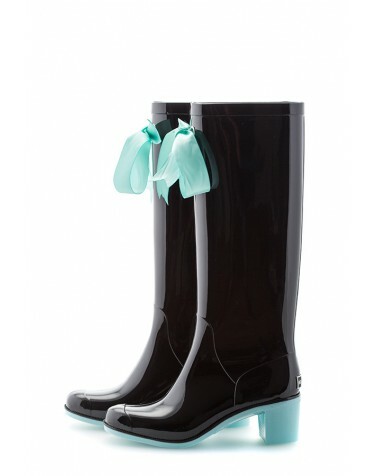 As with our other non-insulated designs, the “Black & Blue High” heeled wellies can be worn even in summer! Height of boots 42 cm.